Welcome to this blog about packaging machinery for wood blocks, panels, furniture, sofas, plaster boards and all larger products that need reliable packaging. The blog is accompanied by a series of Youtube videos. You can follow the machine from assembly, FAT (Factory Acceptance Test), Installation, SAT (Site Acceptance Test) & Commissioning through final and running production finalizing with an interview with the President or a representative in order to learn how they have experienced the whole process. Global film suppliers for Tentoma RoRo StretchPack machines are equal to those supplying film to vertical stretch hooder machines. Each LD PE-film can contain 3-5 kilometers of film which means low film roll exchange frequency. Simply subscribe to the Tentoma Youtube channel or follow Tentoma on Linkedin. 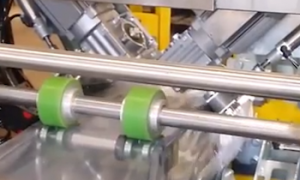 Get notified automatically about release of video 2 where the horizontal stretch packaging machine is prepared for the FAT including customer attendance and acceptance. Packaging Machine FAT and What Does RoRo Mean? In this part 2 blog you will besides the FAT info of the XL-S2 machine also get a full introduction to the RoRo packaging technology and the Step-Change in machine design. 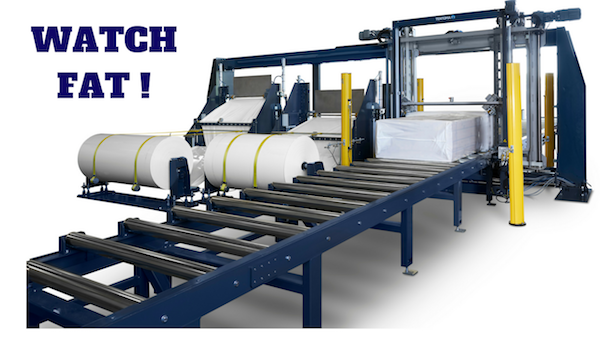 Finally you will learn how to choose the right packaging machine whether needed for packaging of wood blocks, panels, furniture or other longer products. We are ready to perform the FAT for our customer Dekker Hout from Holland. Dekker Hout will be using the XL-S2 machine to pack long wood blocks. 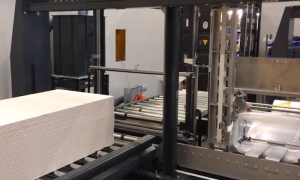 The machine in the video above is a Simplex XL-S2 machine (picture of XL-S1) and will be tested for packaging a wood block with 6-sided-sealing. This will consist of a front- and a back sealing. The packaging sequence must live up to the specified packaging output requirements of the customer. The proper function of the 2 film stands containing each one film roll will be controlled. This includes that the correct film is being selected depending on the pre-set product dimension recipes which is unique for each product size. S2 refers to applying 2 film rolls with different dimensions in order to cover a wider variety of products. After proper identification of the incoming product the machine will be notified about this product’s recipe. The recipe contains pre-set parameters in order to execute the packaging process described later in the Step-by-Step guide of RoRo StretchPack. 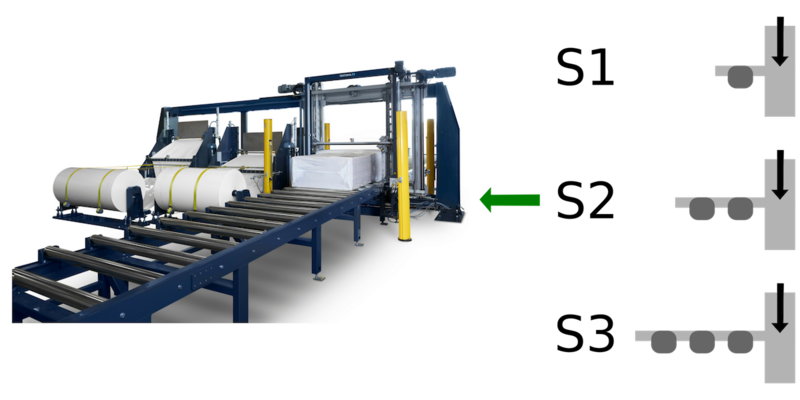 Fully automated wood block packaging solution with full integration between the packaging machine and conveyor system with a 3D measuring bridge installed. In order to understand how the RoRo packaging technology works you can watch this step-by-step guide and gain a fully understanding. Which Packaging Machine to Choose? Products within e.g. wood (wood blocks, wood building materials, furniture, panels, tables etc.) and within rolls geotextile, geosynthetics, geomembranes, geofabrics) can typically be covered within the max 8 meter length that is possible with RoRo machines. The maximum height is 1,4 meters and width 1,35 meters. The packaging cycles of the Simplex XL machine series are fit to cover most output challenges. So, a wood block of e.g. 6 meters, 0,6 meter high and 1 meter in width can be packed with a cycle of <65 packs per hour based on the length (follow the red arrows in the figure below.). See the cycle information here for XL-S2. An often asked question when we get involved in a new packaging project is: How can the product variance be covered? The versatility of the RoRo machines makes it possible to cover a variance of products. 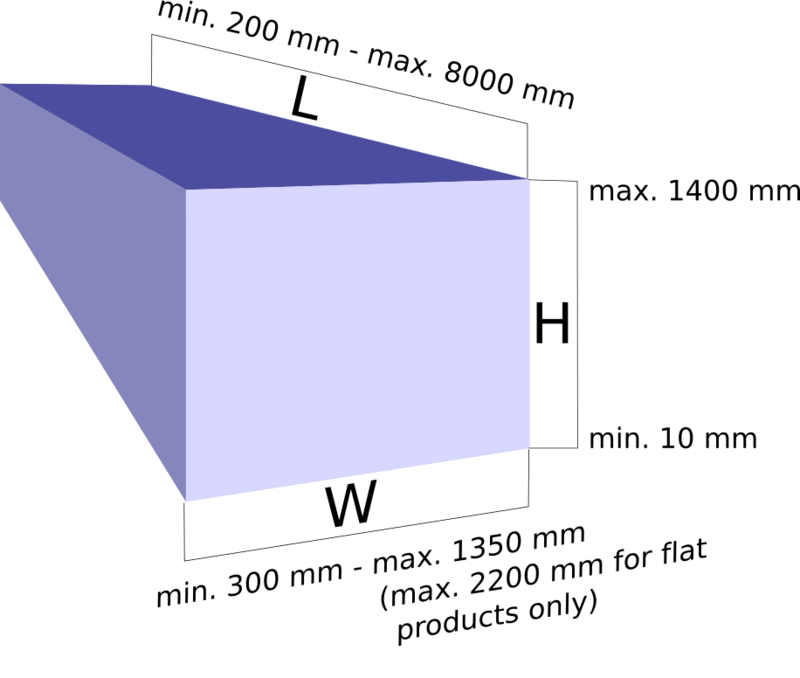 One film roll can as a starting point cover various product dimensions since the film can be stretched from 0% to e.g. 75%. Products that can fit into this range can be packed with this same film roll. variance of products can fit enabling high product variance covering applying only 1 film roll. Now, products outside this range will then need to be covered by a second film roll with other dimensions meaning that we are in S2 solution mode. If this is not enough we can apply 3 different dimensioned film rolls. The founder of Tentoma, Frank Bruhn, has a long track record as service technician at a leading manufacturer of vertical stretch hood machines. This know-how was extended to other vertical stretch hood brands when he started his own technical service company with global reach. He noticed that the same problems occurred again and again and this vast know-how was key when developing the new generation of packaging machines based on already proven key technological elements back in 2010. The goal was to eliminate the weak elements he experienced with the vertical stretch hood machines. Tentoma is receiving positive feed-back on the RoRo machines because of the outdoor storage capability of the packed products. The high quality film material applied allows safe outdoor storage of even up to 24 months. The film can be specified with UV protection and UV blocking in order to protect the film and the goods. Besides protecting the goods from moisture, contamination, dust and alike the film also has excellent capabilities in being a low-friction film. When products are stored tightly together it can be a requirement that the film doesn’t get damaged when placing and removing the products.